By our maintenance work that we carry out on defect and worn machine parts in consultation with our customers, we provide the opportunity to limit production disruptions and standstill to. There are things that seem to exist forever. There are also things that wear out under high strain! These elements must do what they are intended for every day. We contribute to things staying that way. Increased productivity and performance of technical equipment and machines increase the requirements of segments or elements. Therefore the highly burdened surfaces at risk are protected by thermal spraying. We coat worn surfaces with suitable materials in the required coating strengths. The special features of metal spraying find versatile applications in many industrial sectors. Metal spraying method is a collective term for the various thermal spraying methods. Metal spraying is based on the interaction between kinetic and thermal energy. Metal spraying was developed in the early 20th century and originally included spraying of molten metal particles. Thermal spraying made it possible to apply metal on correctly prepared elements, without reaching the heat input necessary with welding or melting. Increased productivity and performance of technical equipment and machines increase the requirements of segments or components. Therefore the highly burdened surfaces at risk are protected or changed in such a way by thermal spraying/flame spraying that they withstand high strain. This must be considered in the supply and choice of the coating substances to limit consequential costs through possible machine breakdown. A zinc-aluminium alloy is sprayed on as corrosion protection. Molybdenum, bronze, nickel, NiCrBSi, chrome-nickel-iron alloys and Wolfram/ Tungstencarbide hard metal are used as wear protection in surface coating. 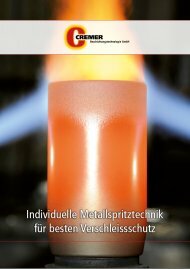 Cremer the hard metal coating specialist based in Lüdenscheid. Two coating systems are used in hard metal coating for thermal spraying / flame spraying: Powder flame spraying and High speed flame spraying (HVOF). 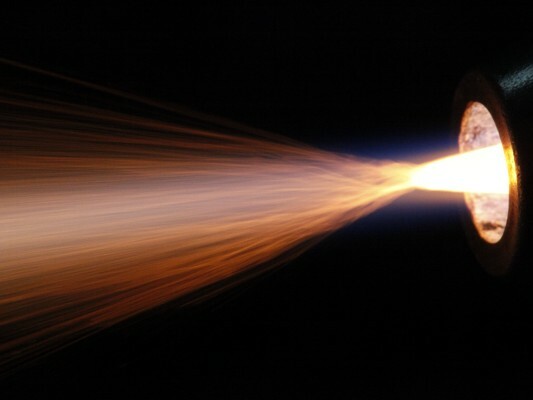 Aluminium flame spraying is a variant of flame spraying according to DIN EN 657 / DIN EN ISO 14919 for all elements which are not suitable for spray galvanising or fire galvanising. chromed or nitrated elements are unsuitable for example. Bronze coating is a variant of flame spraying according to DIN EN 657/DIN EN ISO 14919 for all elements suitable for bronze coating chromed or nitrated elements are unsuitable for example. 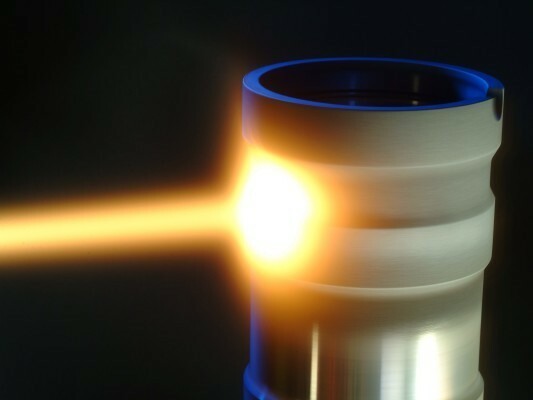 We spray on ceramic coatings with plasma ceramic spraying and powder flame ceramic spraying. There are different ceramic spray agents for ceramic coating. Molybdenum coatings have a hardness of 60-66HRc depending on the coating method used and are perfect for the manufacture of wear-resistant coatings. NiCrBSi alloys and their composition according to DIN EN 1274 and DIN EN ISO 14920 with subsequent fusion have a particularly good resistance to wear and corrosion. Spray copper plating was further developed and based on new findings became a fixture of very good electric conductive coatings and improved electric conductivity of elements made from poor or non-conductive agents. The advantage of spray galvanising (ca. 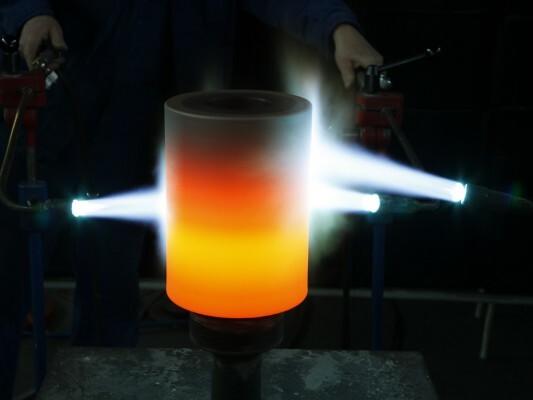 60°C) also in comparison with hot galvanising (at ca.450°C) is that the thermal exposure of the work piece can be disregarded and deformations can be excluded in large surfaces too. Wolfram/Tungsten carbide with hardness of up to 2300HV represents an excellent base for a wear protection coating for long duration. The coating is carried out through flame spraying.